Possible to install VAS5054A ODIS on Windows 10 64 bit system? 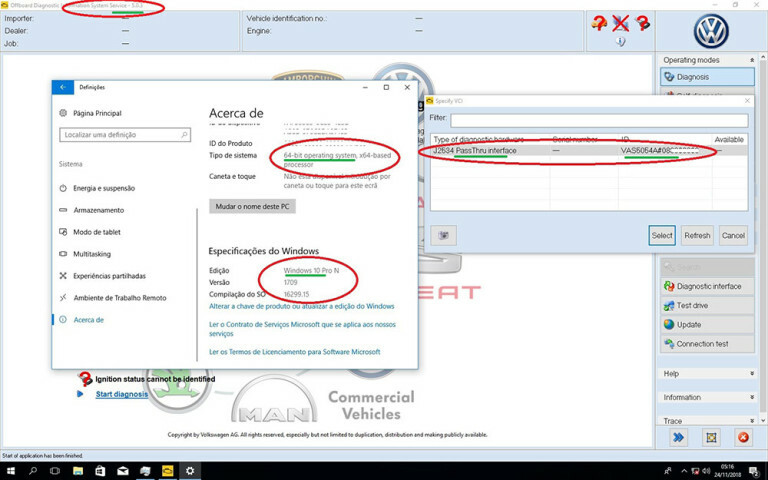 drivers on win10 PRO, and as the picture show, it is working and was detected by ForScan. If ODIS install on Windows 10 than it will also work with the 5054 together with this drivers as a PassThru interface. maybe different versions of win10 (or after updates) give that errors. the 64bit drivers are the ones on this thread. i have to make several attempts to finally see it open with no mistakes or error. and still be able to use your old and “fantastic” Vas5054 interface as PassThru. This entry was posted in Outils De Diagnostic Appareils and tagged odis on win10, vas 5054a, VAS 5054A ODIS on March 1, 2019 by sales.